Install Thym plugin from the Eclipse marketplace. Install MobileFirst platform plugin from the Eclipse marketplace. 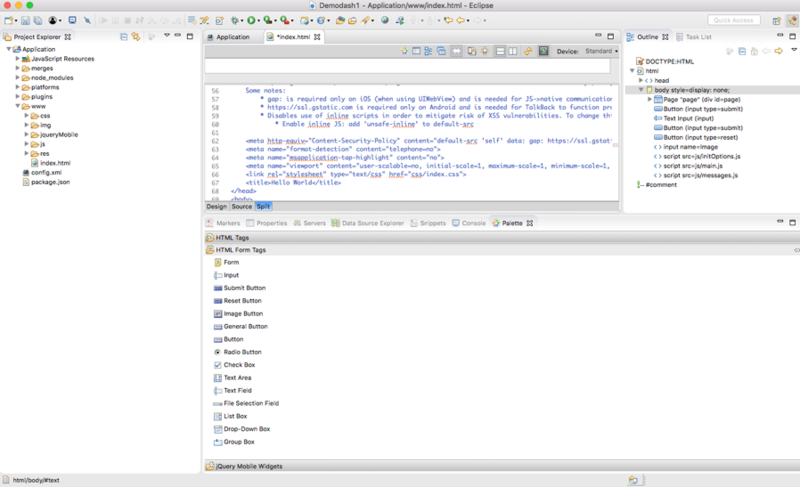 A WYSIWYG editor is provided with the MobileFirst Platform Eclipse plugin for HTML UI widgets for developer convenience. This editor provides the basic palette for the user to drag and drop UI widgets such as a button or a text box and other HTML widgets. This is a Rapid Mobile Application Development tool that enables the user to develop a Cordova application quickly. 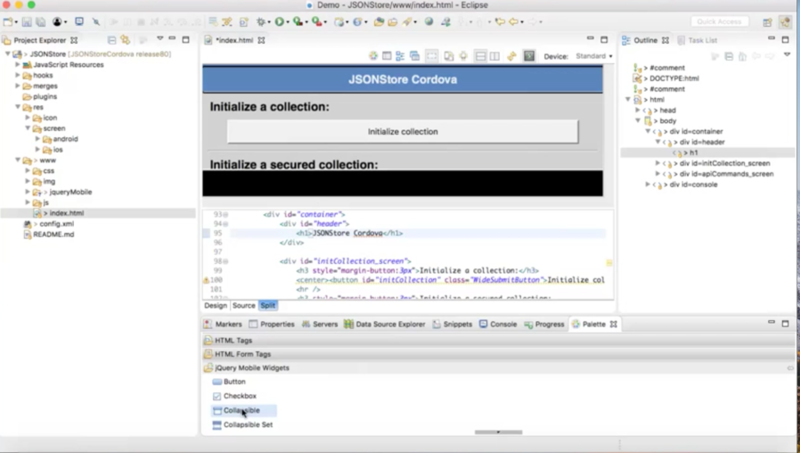 Create a Thym project in eclipse by clicking File -> New -> new Hybrid Mobile (Cordova) application project. 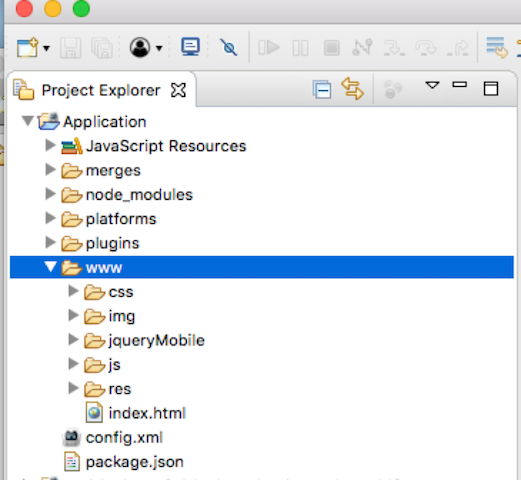 Once you add the references to jQuery Mobile in your HTML file, close and reopen the file in Eclipse. You will now see jQuery Mobile widgets in the Palette view which you can drag on drop on to your HTML canvas.